As the largest opening on your home, your garage door is a vital feature. After many years of wear and tear in Chicago weather, you might find that your garage door isn’t working the way it should. How do you decide between garage door repair vs replacement? We know that home value is important to you. Whether you plan on selling your house in the future or not, it’s important to make sure all aspects of your home are in good working condition. You’ll be losing out on money no matter what if your garage door isn’t up to standards. We’ll go over everything you need to know in order to decide whether you need a garage door repair or replacement. The first step to deciding whether to repair or replace your garage door is to find the root of your problems. Luckily, most garage door problems are pretty easy to spot. With that being said, you should look for a solution as soon as you identify the problem with your garage door. One of the most common problems is when your garage door sticks when you open and/or close it. There’s also the problem where you garage door doesn’t open or close at all. What’s the point of having a garage if the door doesn’t even work? Some other problems to keep an eye out for are drafty garage doors, loud noises and slamming garage doors. These are just a few of the most common problems, but there are many more that can occur on a door by door basis. There are some instances where repairing your garage door can be done instead of replacing the entire door. However, it should be noted that some problems can be reoccurring and the only true solution would be full replacement. One of the most common things to happen to garage doors is that they stop working out of nowhere. Usually, you can repair them when this happens. Oftentimes, the more sudden a problem is, the easier it is to fix. 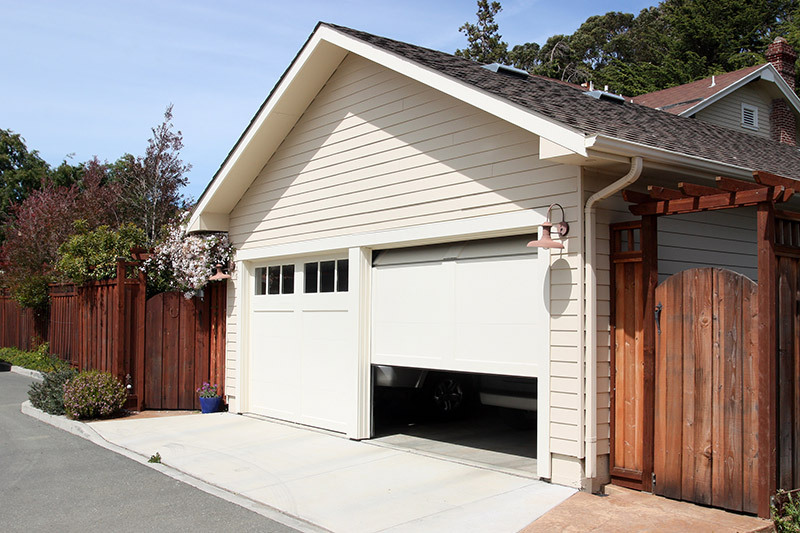 When your garage door suddenly stops working, check the batteries in your remote or in the garage door opener itself. If that’s not the case, a professional can usually spot the problem very quickly and repair you garage door in no time. Another time that garage door repair is appropriate is when the door feels heavy. This is usually caused by a tension problem in the springs. New springs usually fix this problem. If your garage door has panels, then an acceptable time for repair would be if one of the panels gets damaged. Repairing a garage door panel is an easy process and can have your garage door looking like new again. Sometimes your garage door is beyond repair and needs to be completely replaced. Replacing your garage door is a smart investment for many reasons. First and foremost, your family’s safety is at risk if your garage door isn’t working properly. That should be reason enough to replace it. When your garage door hasn’t been working for a long time, that’s a surefire sign that you need to replace it. When you leave little problems unsolved, that puts a lot of stress on your garage door and you’ll find out that your only option is to replace it. Another sign that you need to replace your garage door is if it’s severely damaged. Constantly repairing panels, openers, springs and other parts means that your garage door can’t keep up with the repairs and needs to be replaced. Weather can also play a role in damaging your garage door, especially if it’s not the right material for the area you live in. For example, if you have a wooden garage door in the Midwest, it can get damaged very easily due to all the moisture from snow rain and hail. A big reason why most people replace their garage door instead of repairing it is because it’s just too old and doesn’t look good anymore. 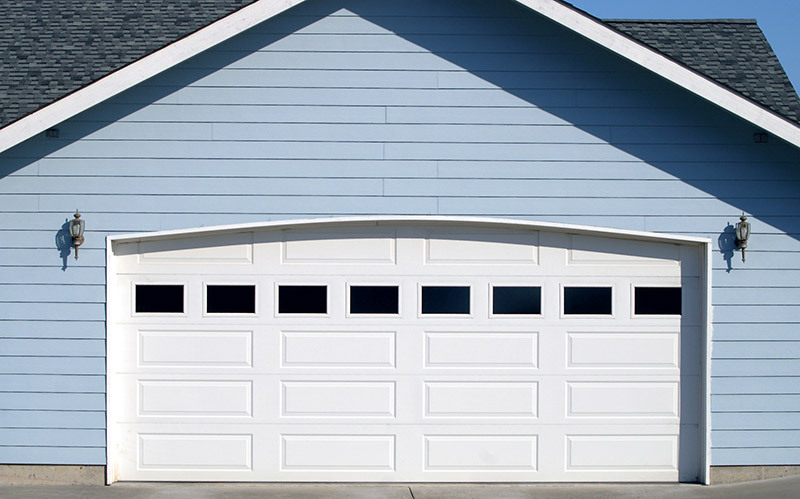 Garage doors play a huge role in your home’s curb appeal and value. You’ll have a hard time selling your house at the price you want if the garage door is old and beat up. Replacing it will instantly boost your home’s value. An old, drafty garage door will end up costing you a lot of money on energy bills because you’ll need to put more stress on your furnace and air conditioner to maintain comfortable temperatures. In such a case, replacement is your only option and will help you save money in the long run. If you find that your garage door is beyond repair and you need a new one, Feldco has you covered. Our garage doors are designed specifically for the weather they’ll experience in Chicago. Feldco’s steel insulated garage doors are extremely durable and won’t budge in extreme weather conditions. They feature a foam core for maximum insulation to help your garage stay comfortable year round. Plus, we have many options to choose from. 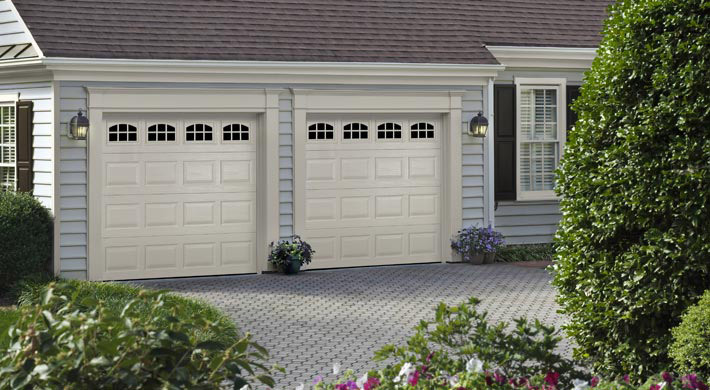 Our standard and carriage style garage doors come with many panel and color options including a wood grain finish. Why trust Feldco for your garage replacement? Aside from premium products, our excellent customer service will surely win you over. Plus, we’ve been providing Chicago with garage door replacement for over 40 years. Join the over 350,000 homeowners who’ve trusted Feldco for their home improvement needs and get a free quote online for your new garage door!